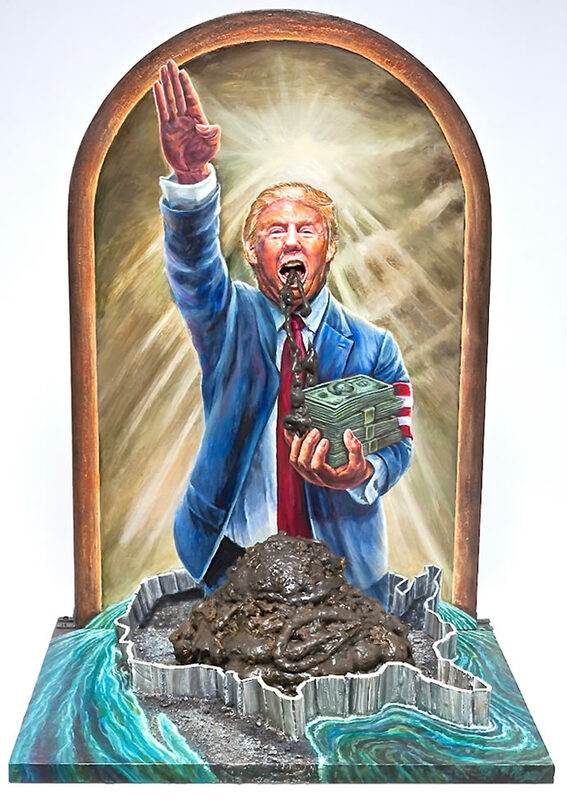 HAYWARD, Calif. -- An artist from Bay Area has created an anti-Donald Trump painting/sculpture made with real bull manure he collected from the hills of his hometown. In a statement, Andrew Kong Knight said he created the artwork to "stand against the blatant prejudice, racism, sexism and lies that is being spread by the current front runner of the Republican Party." "The bull manure coming out of Trump's mouth represents the hate, bullying and lies that Trump is spewing through his words and actions across our country and into the rest of our world. I've done hundreds of portraits, but this one is indeed the ugliest one I've ever created, it's a reaction to what I've seen and felt over the last few months. It was one of the toughest projects I've worked on since I had to stare in the face of hate and ignorance the whole time and also collect actual (expletive) to use in the piece." 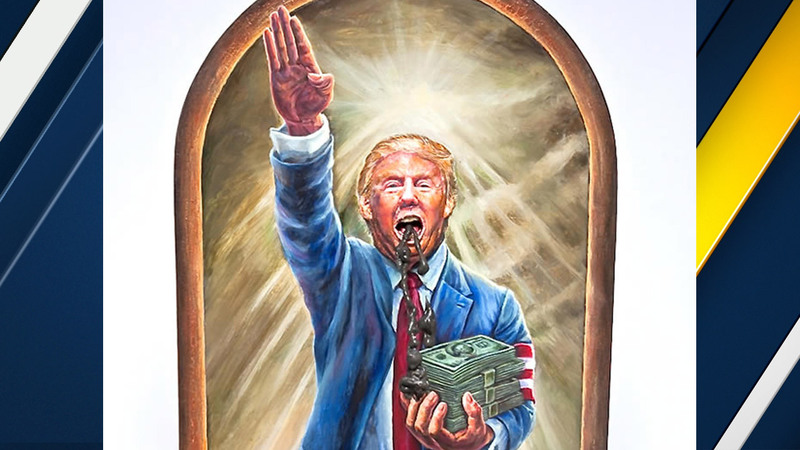 Knight said he is making poster versions of the artwork to oppose Trump. On his Facebook page, Knight said, "My art is about the survival of my spirit. Art is about hope and the infinite potential that it celebrates. I am in the midst of a journey, a transformation with my art that will continue for the rest of my days."